There she was, a simple French woman showing me my history, picture after picture; page after page, she was teaching me things that our young girls and boys should be learning at school. She was showing me what it really means to be a Kurd, rather weird considering she was French, and I was a Kurd. Could being a Kurd mean we speak Kurdish, then again there are some Kurds in Turkey who have lost the Kurdish language but remain to be Kurds, maybe their sentiments of the Kurdish identity is deeper than yours and mine. Could it be about the religion or a religious sect? Again no. I know Yezidis who have strong Kurdish sentiments, I also know Shiite Muslims who feel just as much Kurdish as a Sunni Kurd. I have Christian friends who hold strong Kurdish values. A simple question of our identity took my imagination past the height of our mountains and beyond the limitless sky. Let’s get to the point, my dear reader (yes- I am referring to YOU -Mum!!!! ) throughout my life (young life I should say) I have always considered myself as lucky to have had the honour to come across great people, amazing personalities and inspiring individuals. They each have taught me a lesson in life, and I have taken from the experience of every person I have met – people who change the world in the smallest deeds that they do – these are the people who I look up to. This time I met a wonderful French couple (Mr. and Mrs. Kutschera)*. My knowledge of Kurdology (I don’t know if the word actually exists, but I am going to be using it from now on!) comes from the books and articles I have read and the childhood stories I’ve listened to on my father’s lap. This type of learning experience was different. Mrs. Kutschera patiently took me through every single page of section 1 of the book they have put together, with her husband commentating on certain historic information when necessary. Sometimes when they spoke my arms began to shiver and my eyes filled with tears – I still don’t know if they were tears of happiness or sadness. But what I do know is that I was inspired more than ever before by my own people. 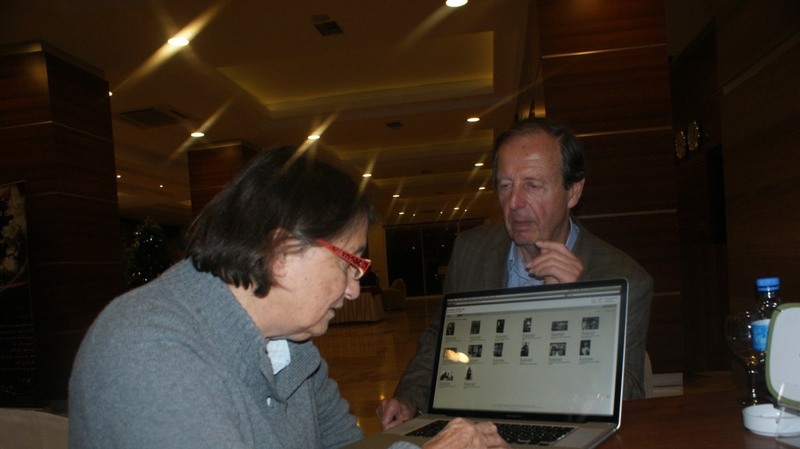 Above: Mrs. Kutschera shows a picture of a Peshmerga she has taken back in the 1970s. You know what? I saw pictures of Kurds in the mountains learning and studying outside. The black board was probably no bigger than some of our television screen at home; it was held high by two large tree branches cut off. I saw pictures of the Peshmerga and their families – living in a cave. I saw a picture of a biologist, sitting on a mountain top with a small microscope. There was a picture of students doing an exam under a tree outside, sitting on the ground. Everyone in the pictures look equal. No one is better than the other. From their faces I could tell how transparent their hearts are. Mr. Kutschera tells me that he went to the houses of villagers where he was greeted warmly, even at the absence of the husband. I felt so honoured as they described the way Kurds treated foreigners, even in the most difficult days in their history. 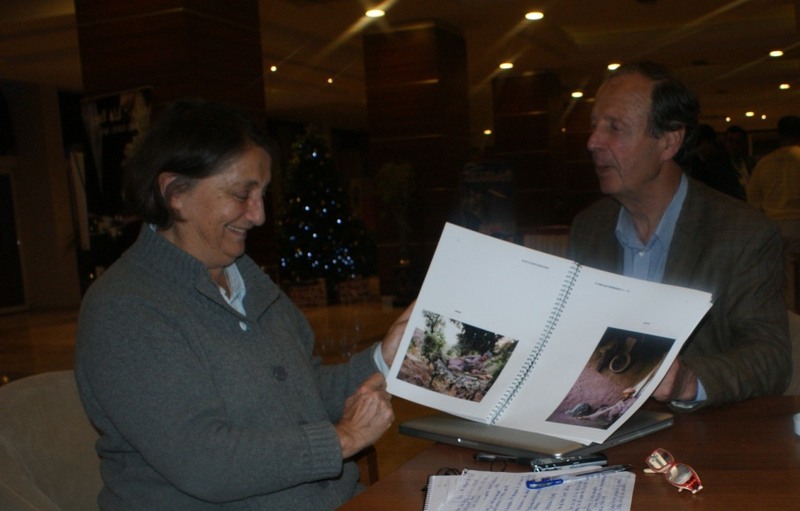 Mrs. Kutschera restores some of the old pictures people have to add to the online photo library of Kurdish history. * You can see some of the pictures that are now online at www.kurdistan-photos.org although the ones in the book are exclusive and indeed, each picture tells a thousand words. 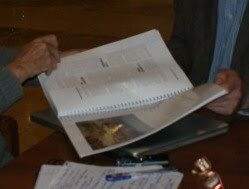 The book (which is in three sections, beginning from the first photograph taken by the Kutscheras in 1971 to 2011) will be published in four different languages. 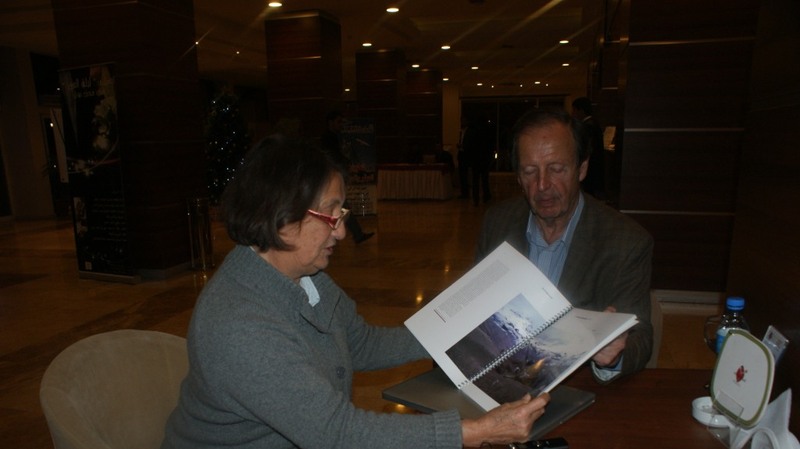 I discussed with Mrs. Kutschera of her willingness to visit schools (young children in particular) once her book is out so that she can explain to them the history of the Kurds through pictures she had taken over a four decade period (to speak of her first hand experience; her encounters while living with the Peshmerga, sitting and talking with Kurdish leaders). I don’t see why we can’t have the elderly ex-Peshmergas go to schools and speak to students about their past experiences (now that’s an idea!). We have a rich history and there are so many stories that need to be told before it’s too late. The other day, I wished I had hundreds of primary school students with me, listening to the stories given by the Kutschera couple! As the Kutschera couple spoke, I somehow wished to have lived through those moments. I sensed how it felt to be there. I looked at the Peshmerga smiling – while living in the worse possible conditions – I saw a picture of a shop, but the shelves were empty, the man had almost nothing to sell. Mr. Kutschera points at a picture, he tells me ‘this is the last picture of peace in Kurdistan’ I look at the caption, only to realize it was written “1973”. I immediately recall an interview I did not too long ago with Bayan Abdul- Rahman, she spoke of prosperity and development in Kurdistan. One of the key points she emphasized repeatedly is having solid, uninterrupted peace. She said with “continuous peace” we can prosper not just with infrastructural development but also economically, socially and politically. 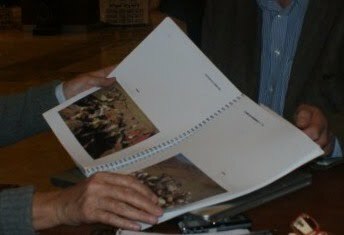 As for the Kutscheras, 40 years ago they took pictures of the Kurds in the mountains with film-strip cameras, writing the information on paper with pens. Now they bring their laptop to a luxuries hotel lobby area, connected to the wireless internet in Erbil. They are publishing their book in the region’s own capital city and taking pictures of shopping malls with digital cameras. The times have changed, and so have we. But I have one wish. The way Mr. and Mrs. Kutschera described the Kurdish people was beyond what I can write in words. Their eyes said it all. I hope we remain to be such noble, loving and warm hearted people. We have been hurt enough to know that it is not okay to hurt others! *Kurdology – Coming from the word ‘ology’ meaning: A combining form, “the science or study of” and ‘Kurd’ – a member of the largest stateless nation in the world, but will someday have a country of their own! *Mr. and Mrs. Kutschera have the same first name (Chris) so to avoid confusion I refer to Mrs. Chris Kutschera as Mrs. K and to Mr. Chris Kutschera as Mr. K.
*If you happen to have pictures that date back for some years, please do let me know so I can forward your details to Mrs. Kutschera. -Pictures in this entry were taken by me! Sazan M.
First – yes, you and all other Kurds and non Kurds have the right to say “country”, coz country is not the red or black line on the map. country is people, culture, language, flag, tradition, history. does Kurdistan have these all? yes, even more – government. so obviously it is country. second – Kurdology also exists i think. In Poland there are one uni which has the section teaching about that matter, called simple “Kurdish studies” (for example languages, both: sorani and kurmandji) – its called “kurdology” there. and third – i think i know what does it mean to be Kurd. i cant describe it, but if i would have to say something i would say: its something which is able to affect your life more than anything in the universe (from the non Kurd point of view). I am proud of these great French people. My big thanks to them for what they are doing for Kurdistan. You got to be having more readers than your Mother, the way you're writing about Kurds and Kurdistan and your pics of everything is so wonderful. It's so inspiring to me as a young Kurdish girl from Sweden. Even though I've been going to Kurdish classes since I was a little child we haven't learned as much as I wished for. Neither in the reading/writing part or the history/culture part. It's the Kurdish teachers fault, they're unfortunately not taking it too seriously. I really like they way you are writing and I'm very grateful for this book about Kurds.